Nitrate levels in excess of EPA regulations (10 mg/L or 10 ppm) have started showing up in surface water in Iowa and other states in the region. Heavy rains have washed excess fertilizer from corn fields leftover from last year’s crops into lakes, rivers and streams. Farmers in the region contended with devastating droughts last year which caused corn crops to struggle in the sun drenched, hard arid soil. Since the crops did not develop like usual, they therefore did not soak up as much of the nitrates (from fertilizer) as they normally would and the excess sat on the ground until record-breaking and near record-breaking periods of rainfall this Spring. Now everyone in the region has their eye on nitrate levels in the major rivers which, if allowed to get too high, could cause a whole lot of drinking water contamination problems for around 45% of Iowa residents… because many municipalities in Iowa draw their drinking water from bodies of surface water. As an example of how elevated nitrate levels have already started to affect people besides farmers, one municipality has recently re-activated a very expensive nitrate removal system that costs an estimated $7,000 per day to operate. That extra $7k a day in expenses naturally will get passed on to customers and cause a spike in their water bills. Why do corn fields contain so many nitrates? According to what we have read, growing corn properly requires the use of more nitrogen rich fertilizer than a lot of other crops. Therefore, if a growing season’s corn crop does not consume all of the nutrients farmers put down, it sits in the soil waiting for next year’s planting season or a good, heavy rain to wash it away. Nitrates a danger to humans? Experts believe nitrates may hinder the ability of a baby’s body to properly carry oxygen in the bloodstream. By baby we mean an infant up to roughly six months of age. Health officials warn pregnant women not to consume water containing nitrate levels 10 mg/L (ppm) or higher. Medical professionals warn parents and caregivers against preparing formula bottles using water that contains nitrate levels 10 mg/L (ppm) or higher. In agricultural areas and after regional flooding we have seen a number of cases where local health departments have offered free or reduced rate nitrate testing as well as testing for other critical water quality parameters like coliform bacteria. 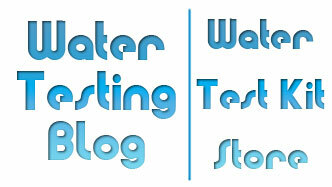 We suggest contacting your local health department to see if they have any discounted water testing programs available. If no such programs exist in your area, you can always perform nitrate testing on your own using products like the WaterWorks Nitrate & Nitrite Test Strips which provide fast, accurate on-the-spot water test results… and don’t cost a small fortune. On the complete opposite end of the expense spectrum you could have your water tested by a certified water testing lab by mail. National Testing Laboratories offers a well water testing package called Well-Check that includes tests for bacteria (total coliform and e-coli), 19 heavy metals and minerals (including lead, arsenic and mercury), 6 inorganic chemicals (including nitrates and fluoride) and 5 physical factors (including pH and hardness). Test results typically get emailed to customers within 10 to 14 days. Removing or reducing nitrates in drinking water? Should you have the misfortune of finding out you have elevated levels of nitrates in your drinking water you will more than likely want to reduce those levels. For that you will need a water filtration system. 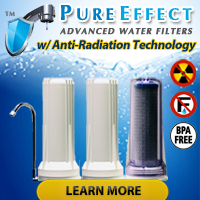 While selecting a water filter make certain you read through the list of contaminants that each filter takes out because not all drinking water filters currently on the market will remove nitrates. Below you will find several models of water filters that WILL help reduce nitrate levels in well water, tap water, city water, surface water, etc. The models below range from a simple disposable counter top model for nitrate removal all the way up to a whole house filter for nitrate removal.